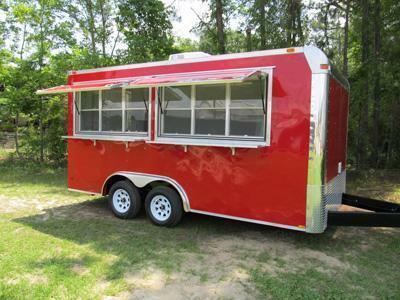 Are you planning on going for a business that requires concession trailers? 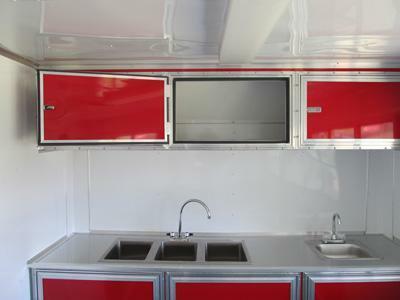 Then it is highly essential that you buy our Red Concessions Trailer with two serving windows! 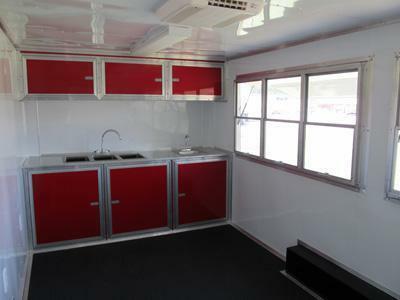 Double serving windows with fold down counters also included are Marquees. 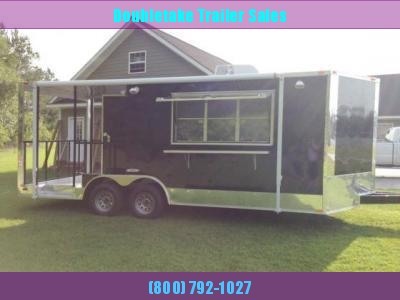 This trailer was made to provide space for you to prepare food and also provide space for your customers to sit and relax while patronizing your services. 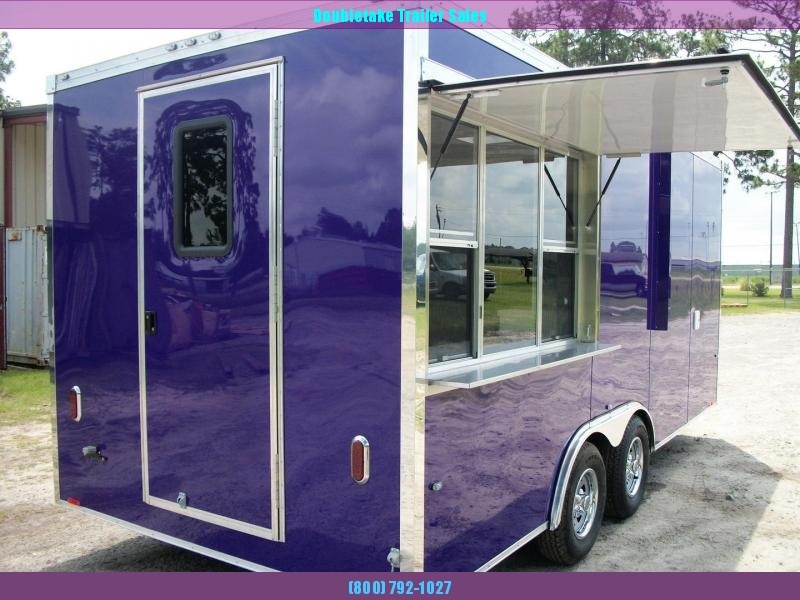 It is not so difficult to buy this two windows Concession Trailer, since DoubleTake Trailers is now making them available. 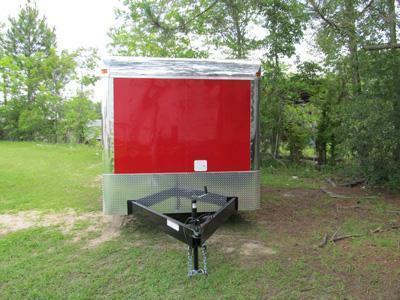 This trailer is ready to take your business to the next level and start making you money. 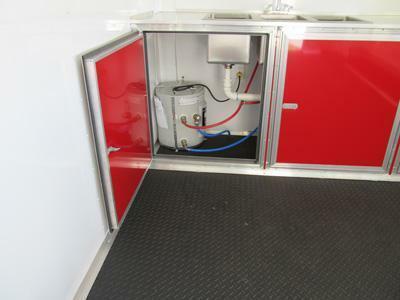 Call us today for full details (800-792-1027) about our Red Concession Trailer. 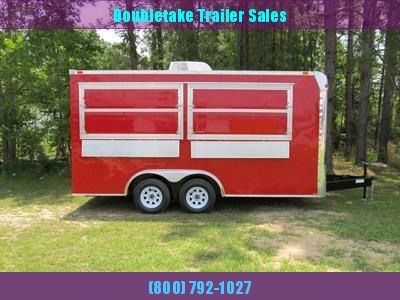 DoubleTake Trailers can be contacted both online and offline. 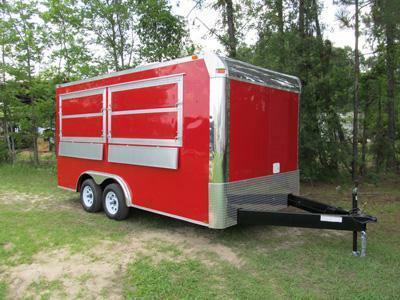 The online access makes it very easy to get the trailer you need very quickly without any delay whatsoever. 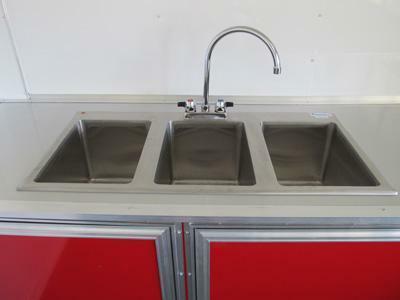 We can even offer home delivery service also. 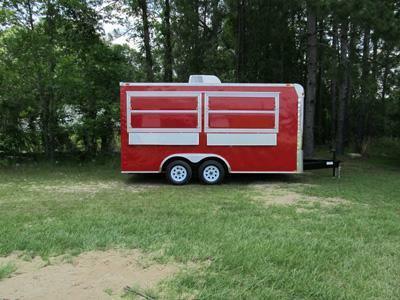 8 x 16 Red Concession Trailer with 2 Serving Windows. 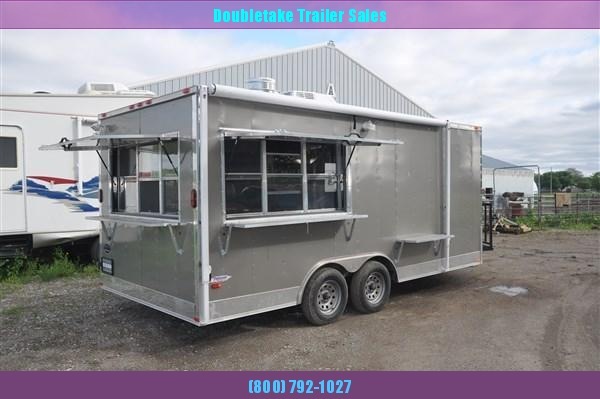 So please consider Doubletake Trailer Sales when you want to find a concession trailer for sale. 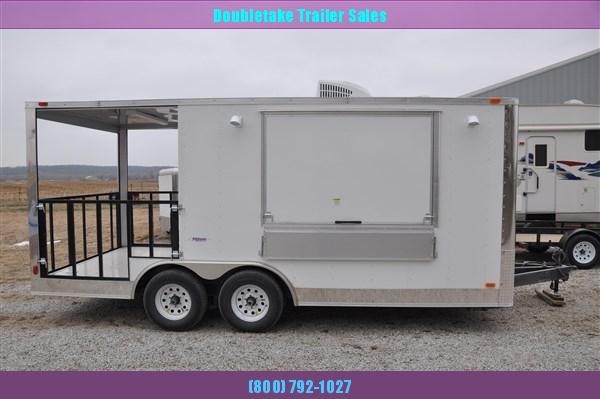 Doubletake Trailer Sales, LLC specializes in concession trailers. 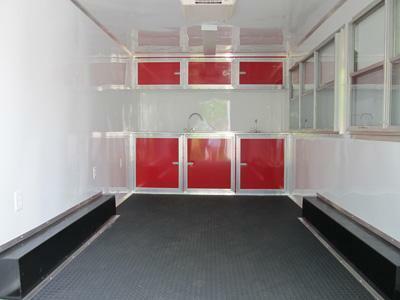 We also offer more options than any of our competitors as well as the best prices. 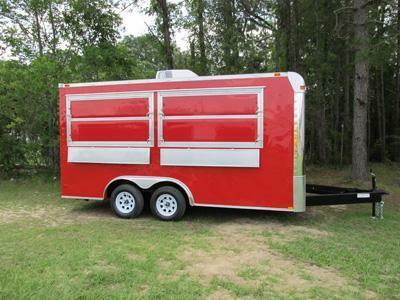 Every trailer is uniquely built from your specs. 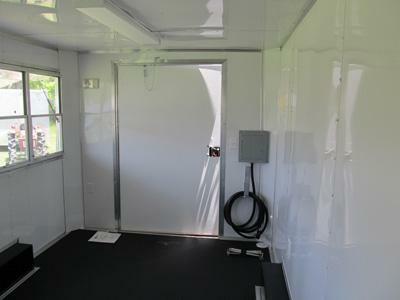 From windows, bathrooms and sinks to cabinets, canopies, and also A/C's. 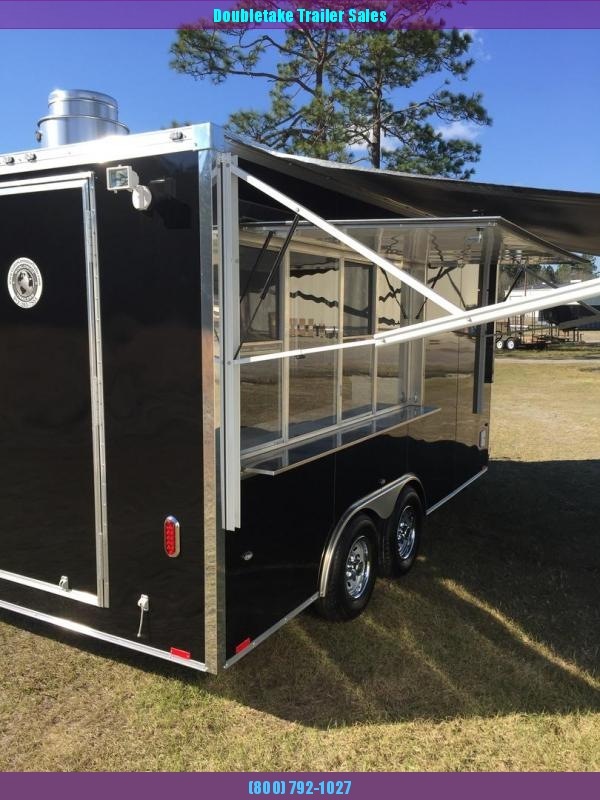 SALVATION Trailers, LLC offers more concession/BBQ/Vending trailer options than any other enclosed cargo trailer manufacturer. 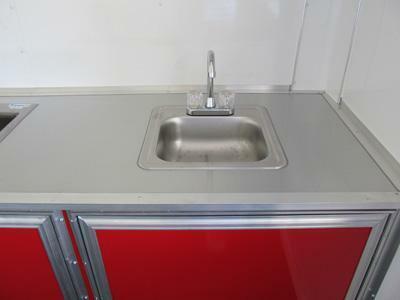 Some of our options include: a wide variety of concession serving windows (with or without glass); electrical packages from 30 amps to 50 amps; fully insulated walls and also ceilings; interior aluminum or vinyl walls as well as ceiling (easy to clean); generator compartments; sink compartments (triple sinks, double sinks, hand wash); water heaters; fresh and waste water tanks; 13000 BTU or 15000 BTU A/C's; range hoods from 4a to 18a also include hood fans; cabinetry and counter tops; screwless exterior for logos; full bathrooms with sink, shower, and toilet; awnings in a variety of colors from 10a to 24a; also bunk beds. 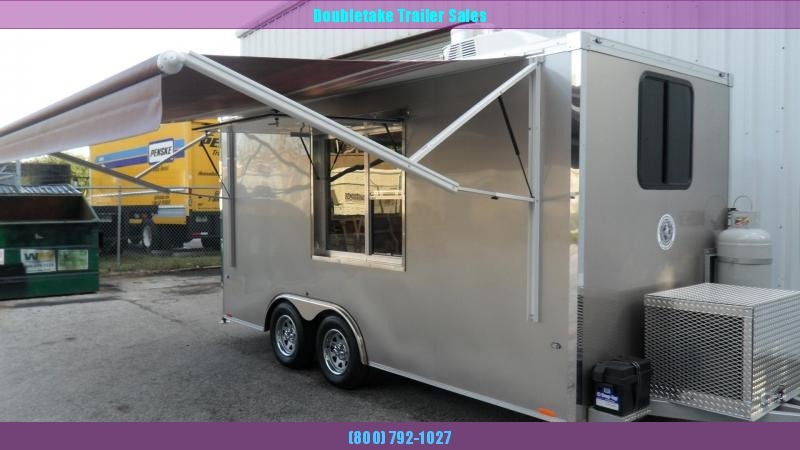 Call us for a concession trailer for sale.